"When white people paint their faces black, it is always racist." I'm struggling with that generalization...last Halloween I went to a party as the Old Spice guy from the commercials. I was in blackface...the costume was a huge hit among white AND black guests and it had nothing to do with being a racist, I was just being a character. I realize that there are historic racist references...but to make such a generalized statement...I mean isn't that kind of thinking at the root of all racism? Yeah, me too. It seems that every North American person reduces the narritive between black people and white people to that of the slave experience in the US and all of the resulting tensions and problems associated with US style discrimination that came after. 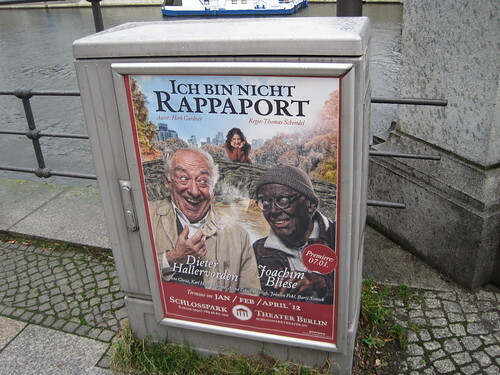 Blackface, as am American art-form (and I use that term in the loosest possible sense) was racist. Black and white friends going to a UofT fancy dress party as the Jamacian bobsleigh team and coach...not racist, actually pretty original. Beyonce doing blackface for a photoshoot? I don't know... Not for me to say really. Whether it is racist or not really depends on the intent of the act. It could also be naive or ignorance. It definitely does not depend on the race of the person doing the act... ironic, no? I still don't think it's appropriate for a white person to wear blackface, even if it's as harmless as someone dressing up as a Jamaican bobsledder. It's not just America with the racist history. This entire planet shares that history. I agree, Mike. It is racist. You can't make light of it. It's like dressing up a a Nazi. It isn't funny. Sorry Mike but your statements are way too general. ‘Any white person who does ‘Blackface’ is always racist’. Really? How do you know what’s going on in someone’s mind? What if a person who has inter-racial parents does ‘blackface’? Is that person half guilty? Stop the preaching Mike. I happen to believe it depends on the context on which it is being done and by whom. Ted Danson doing it for a comedic value is different than Bubba, who is a card carrying KKK member, doing it in Alabama as a Halloween costume. At best you could say that doing ‘Blackface’ is insensitive and even then I still have a problem with that. Your approach is the usual ‘holier than thou, white man’s guilt, eh I’m a good person, some of my best friends are black’ syndrome. We’re all guilty of being insensitive at times not realizing that we are doing so but not in this instance nor in the infamous P.K. Subban incident. And that would include yourself Mike with your constant references to Mayor Rob Ford’s weight issues whom I’m sure that people who battle obesity on a daily basis take offense to. I didn't say the person was always racist, I said the act is always racist. I said when a white person dons blackface, it's always racist. So the person doing the act isn't always racist just the act? If the act is racist, you must mean the person doing the act is racist as well. Or did you mean the actor doing the act isn't... man you confused the hell out of me. If you think that Poster is offensive you should look at the Dutch tradition of Zwarte Piet.